I’m not a “How to Blog” resource site. However, I do want to answer questions and be helpful for those who want to know about my experience as an online publisher. I will attempt to answer questions in this one and only post about how to blog and keep it current as my knowledge and site grows. Why am I an online publisher? I love to write. I love personal finance, organizing, simplifying and the topics I write about. I enjoy technology. It’s all of my passions combined! It’s both a business and a Blessing. Hours, upon hours, of study. However, I studied waaayyyy to long. If I had my time to start over, I would have started trying things as I was learning them. Failure. When I finally did start putting the things I was learning into practice, I started with a site based on my professional experiences. Guess what? That did not fly. Even though I’m passionate about what I do outside of my home, it wasn’t the right fit. The bright side? I learned, dug my stubborn heels in and tried again! Bought site hosting at Bluehost. Moved my domain name over to Bluehost. Set up a Gmail account for SimpOL. Picked a wordpress theme (Aegaeus) by HB Themes. Took an online class through our local technical college on WordPress. 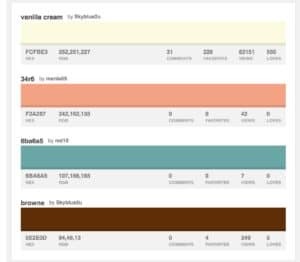 Chose my site color scheme. Side note: These colors made me think of enjoying a cup of coffee with french vanilla creamer before getting started on an organizing project:] I can’t remember the site where I got them but there are lots out there. Started adding elements to my site- pages and posts. I did take an online class but my best teacher was good ‘ol trial and error. Lots of trial. Lots of error. There is always something new to learn. Bought a gig at Fiverr for the logo. Hired Laura to do the main page image. Super sweet and talented! Started documents in Google Drive. Topics, products, ideas, pictures, etc. Opened a MadMimi account. Used tutorials to set that up on my site to collect emails. Update: I’ve since switched to MailerLite. Writing, writing, writing. Rinse and repeat. Sticky notes and idea books everywhere- car, purse, bathroom- you never know where an idea will strike! Started saving pictures that would work with my content. Most from Canva and Unsplash although most bloggers reference PicMonkey. Edited and designed images for posts and Pinterest. Added plugins to my site. Set up Woocommerce on my site. Update: Switched to SendOwl for now. Set up a few social media accounts but I plan to focus on Pinterest for now. Flipped Lifestyle– Two months in the membership site. Great people and support, but I had to stick to a special budget for training and resources so that was my limit. Nick Loper– Nick used to do some site reviews on Fiverr as one of his Side Hustle ventures, but he stopped doing that. I reached out and asked him in the most “pretty, pretty please” way I could without sounding too desperate and he helped me. Great guy. Rosemarie’s Pinterest Strategies- I think I first heard about Rosemarie on Nick’s SHN and then was excited to see we were in similar niche areas (although I don’t touch cooking, ha!). Never met her but so obvious she is genuine. Side note: The Internet is full of scammers (I know you’re shocked) and geez, they must have a degree in it because they have gotten really smooth. I don’t give anyone my time, and definitely not my money, who I can’t listen to, read or reach out to as a real human being who actually responds to me. All of those above meet that criteria and more… they deserve whatever success comes their way, tenfold! David chose to answer my question about advice for the first year of blogging in this Youtube clip! I haven’t built the relationships yet that will be necessary in giving and receiving support as an online publisher. I fully intend on reaching out to bloggers in my niche as well as those listed above. I intend to go to at least two conferences in 2017. Elite Blog Academy– I’ll have to update this after the course starts in February 2017 but it came highly recommended from too many reputable sources. I’m forever a student. I will keep learning and studying to deliver the best I can for my readers. Monetization- Products and affiliates for the most part. 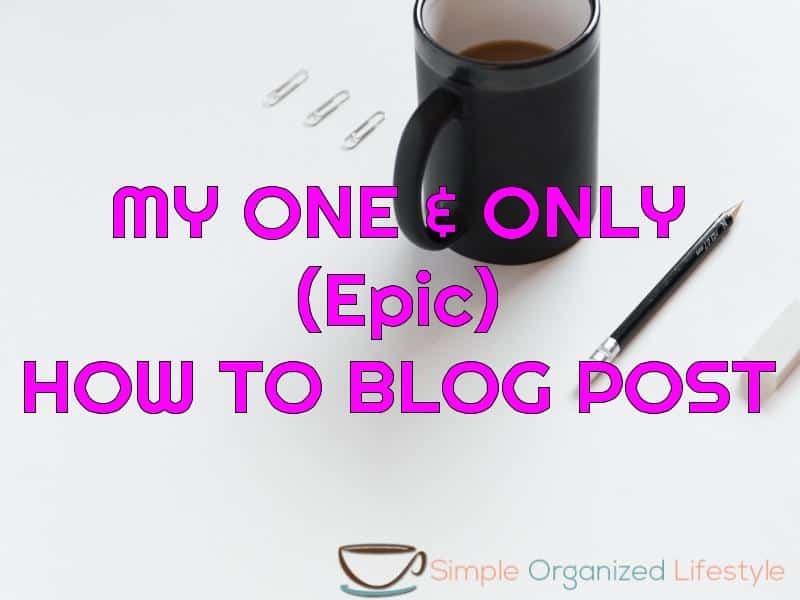 Whew, I’m glad this will be my one and only post about how to blog since it’s an epic one already and there’s much more to add in time! I hope it’s true that slow and steady will still win the race! There is SO MUCH that goes on behind the scenes of a blog! Pinterest. Focusing my social media efforts on Pinterest for a long stretch. Set up BoardBooster. Dabbling in Tailwind. Joined a few Group Boards. Added Adsense. It’s an easy way to start out and learn how ads work. I don’t want them to be annoying to readers but I also wanted to use them from the beginning in a few places. Writing 1 (sometimes 2) posts a week. I have a lot of them mapped out for the next six months using an editorial calendar wordpress plugin- loving this tool! Reaching out. Started to correspond with other bloggers, mostly through being active on their sites. Besides a question here or there, I really am just getting to know others who I admire for their accomplishments. The best way to learn from someone is to spend time with them! It’s been interesting- I’ll elaborate on that in the future. Facebook Groups- I have joined 5 groups. Three for blogger support, one for social media support and another for pinterest group board discussion. One is just too big and kind of “spammy” so I’m going to really keep these groups limited as I move forward. Traffic. I have set goals for each month this year. Reading a lot about traffic but it’s important to me to get the right kind of traffic so not everything applies. Slow and steady. What would I tell someone who is considering this type of business Blessing? In your research you will find that whatever you want to do… has been done. It is out there. That can be frustrating and discouraging. Do you know how many sites exists on managing home, kids and finances? A LOT! However, maybe there is something about my content and products, or my lifestyle working full time outside of the home and part time from the home that resonates with someone for different reasons. It’s up to me to reach out and find that person. I work 45-50 hours every week outside of the home. That time never crosses with SimpOL except for listening to podcasts on my way to all the meetings I have to attend (might as well make use of that time!) I love Simple Organized Lifestyle, but it doesn’t just happen on it’s own- I weave it into the early morning, late evenings and weekends. I have a preschooler, a husband and a home that need my attention. If you bring value and it shows in your content and products, you will stand out. It reminds me of a poster I used to have in my office. It was a sea of red roses with one yellow one in the middle that said “Make a Difference.” There might be a sea of blogs out there on your same topic… be the one that stands out and makes a difference. People will notice. 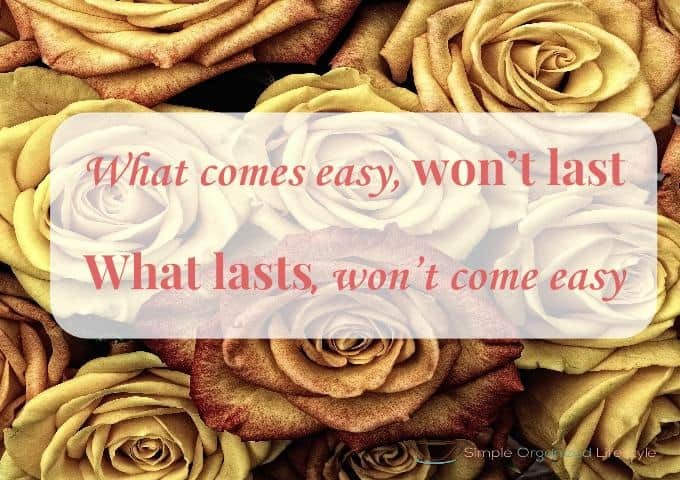 It’s not easy, it’s not free (as some will tell you) and it requires a lot of your time. But if this is also your dream of a business Blessing, it is possible. And it’s worth it. If there’s any question I didn’t answer, please leave it in the comments below.